When Jayni, her mum and little brother Kenny have to run away from her abusive father, it starts off as a big adventure. They slip out at night, go up to London by train and stay in a hotel. They even make up false identities. That’s how Jayni transforms herself into fabulous, glamorous Lola Rose – an exotic girl based on the stories she reads in magazines. But when the money runs out and reality bites, the game stops being quite so much fun… Another brilliant story of real life and family from prize-winning author Jacqueline Wilson. I fell so bad for jayni. I couldn’t imagine having a dad like that! I love this book it is very tragic.It is very intriguing Lola Rose goes through a lot. This book is the most AMAZING book ever! I really loved it and I recommend everyone to read it because you’ll love it! I thought the book was absolutely superb! if you haven’t read it yet then please do. Im happy they had some cash when Jayni’s mum won £10,000 and they could get away from their dad! This book, was amazing I loved it and this is my favourite. Jayni and her mum and her little brother kenny, ran away from home far, far, far away from their dad. Things are going well when Jayni and Kenny’s Mum gets very ill and that’s not their toughest problem. Will their Dad ever find them in their New home…..
Jayni is living in some council flats, they are always strapped for cash until one day Jayni’s mum Nikki wins £10,000 on the lottery. Jayni, Nikki and little brother Kenny have to run away when her dad becomes violent and lashes out at them. I found this book very good. Sometimes scary and sometimes joyful, you never know what is going to happen next. You may think Lola Rose is just another book about family problems and love and kisses, but once you read the first couple of chapters you get what this book is really about. I do like this book, even though in some parts the plot could become quite boring and predictable. It’s not my favourite Jacqueline Wilson book, but overall it’s a great book, touching, action-packed and beautifully written. Lola Rose (or Jayni) is one of my favourite characters in the book, as she is so brave and creative, with her fab scrapbook. 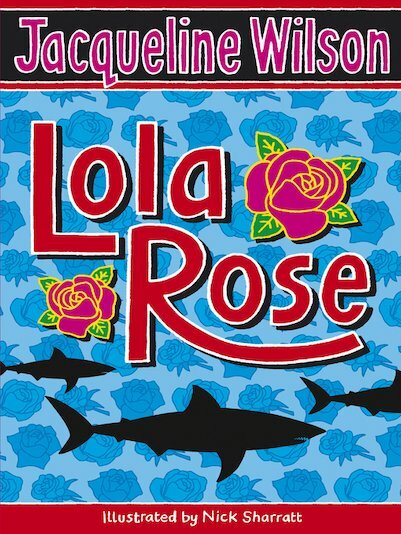 This book was really good one of the best Jacqueline Wilson books I have read! Great book i enjoy reading all books written by jacqueline Wilson! 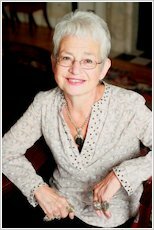 Jacqueline Wilson is THE author to go to when looking for a good book for young girls, this is a perfect example. This book might make you cry a bit, but it’s worth it. You get a happy ending in the end. Very funny but extremely sad at times. I love the whole twist to the story, keeps you guessing. this is the best book Ive read except for Lilly alone it’s very amazing you cnt stop reading after you read on sentence. very good I thoroughly enjoyed it! Jayni to Lola Rose! Really fun characters! * * * *! great characters in this book! jayni transforms into the incredible lola rose! Jayni, her brother Kenny and her mum have to run away from home, and invent new identities. Jayni transforms into Lola Rose, a girl based on magazines and stories she’s read. I would recommend this book as it is really interesting and very exciting! this is a book about running away and starting a whole new life. it includes high heels, a new dad and even a shark called george! Absolutely loved this book!! Took it from library and has about 50 pages left to read when I had to take it back. My mum bought it for me and finished it in tears!! This is an amazing book! I think her mum’s a bit annoying, but she is Lola Rose is amazing! i think it is an amazing book and jaculine has put lots of good detial in it i have this at home and i read it time and time again because it is so brilliant! AMAZING! This book is wonderful , Lola rose is an amazing character this book is sooo beauiful it’s sad and times as well as happy. I loved this book as it keeps surprising you all the way to the end!